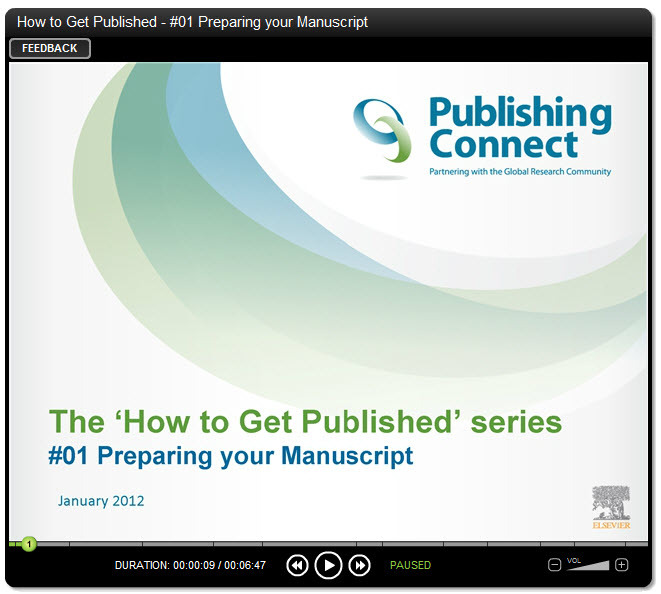 Are you wondering how to start the process of getting your paper published? Are you unsure on how to navigate the ethical pitfalls of writing scientific papers?Or are you feeling disheartened after the article you worked on for months was rejected? For tomorrow's event or future Publishing Connect webinars, register here. A new live webinar series is here to help. Publishing Connect has organized its first series of capacity-building webinars, with the first one tomorrow (Thursday, May 8). Our Publishing Connect program supports young and new scientific authors by bringing publishing workshops to institutions across the globe. We also provide a library of training webcasts on our website. 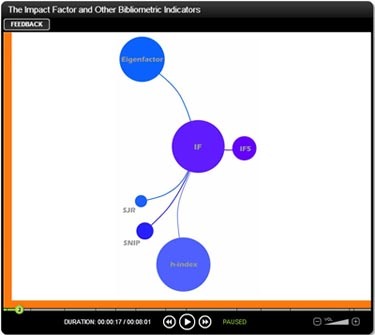 Recent internal analysis shows that an average of 17 percent of Publishing Connect webinar registrants go on to submit a paper (both existing and new authors). Now, we are bringing you the best of both worlds with a new series of free live webinars, presented by our experts. By participating in these webinars, you will receive valuable and up-to-date advice on how to publish and get your research seen by your peers. 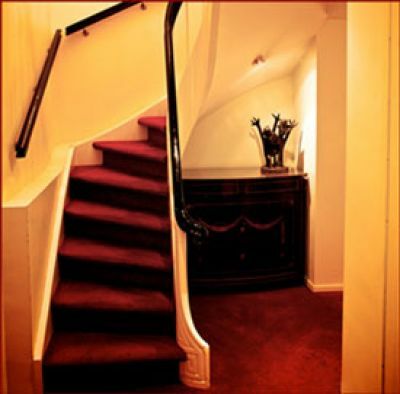 You will also be able to send your questions to our experts. Protect your reputation and career by learning how to navigate ethical topics, such as authorship, plagiarism and conflict of interest. 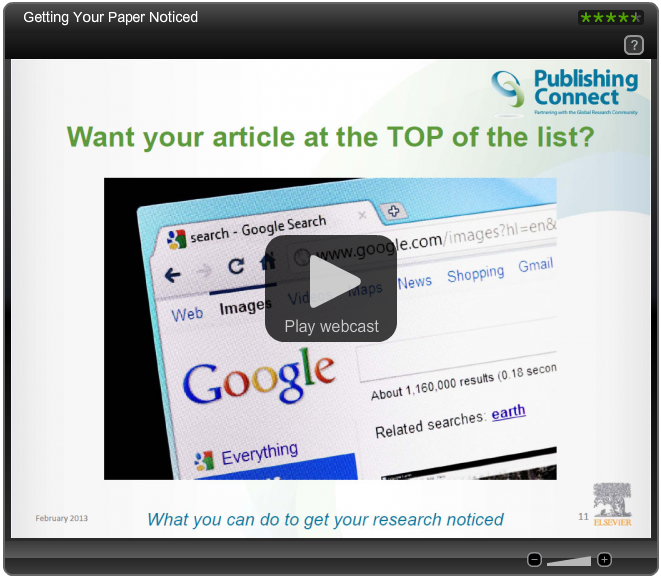 Watch the Publishing Connect training webcasts. Gaelle Hull is a Marketing Communications Manager for Elsevier’s STM Journals. She has worked at Elsevier in Oxford, UK, since 2006 and is currently working on a secondment within the Researcher Relations team. 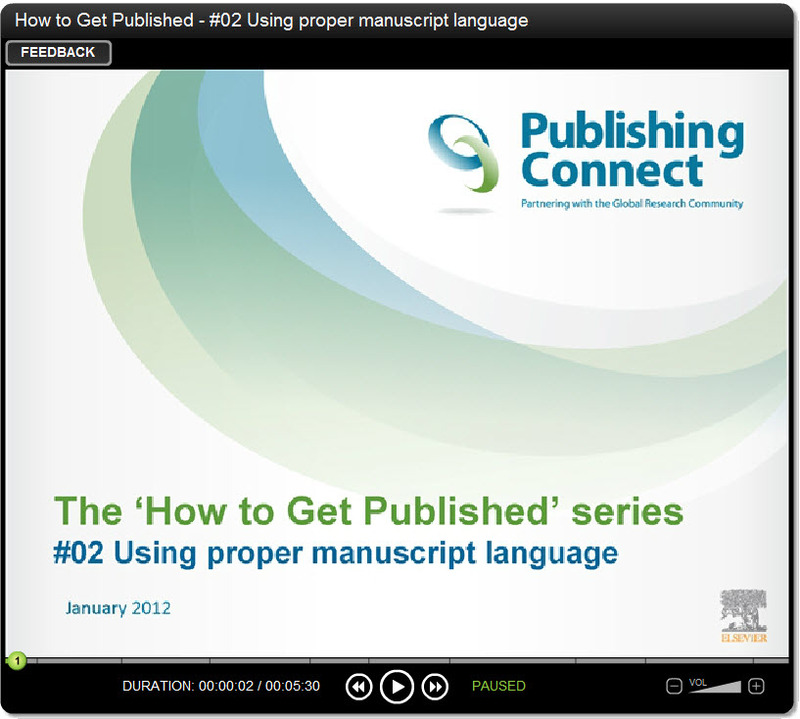 As part of her role as Researcher Relations Manager, she helped develop the first Publishing Connect webinar series.